“Oui” Love Paris! 8 FREE Things To Do In The City Of Love - GoTimeshare! We all love taking a trip to Paris but let’s face it… our bank balances don’t! Dig a little deeper in the City of Love, though, and there a quite a few things you can do for free, if you know where to look. Thanks to the First Free Sunday programme, if you time it right you’ll get to visit some of the most iconic museums and landmarks without having to pay to get in. Amazingly, the Louvre and Musee d’Orsay are included in the door pass, along with a few less well-known places, such as the Albert-Kahn Musee – making this freebie one of the best treats for culture vultures. There’s also plenty to do outside, one of my favourites being the old school free open-air cinema at the Parc du Villette. Take your picnic rug along or if you fancy splashing out, upgrade to a deckchair for €7! Or how about getting lost in the Jardin du Luxembourg – Paris’s second largest park? The beautifully landscaped park built in the 17th century is covered in monuments, statues and fountains – including the first model of the Statue of Liberty. It’s a lovely place to escape from the buzz of the city’s main attractions, so take a book, grab a coffee and relax. Paris is officially Europe’s city of love, so you have to visit the incredible Love Wall where ‘I love you’ is scrawled across the wall in hundreds of languages while couples bustle to take photos against the backdrop. It goes without saying… you can’t leave Paris without seeing the Cathedrale Notre-Dame. As one of Paris’s most famous landmarks, the outside is just as beautiful as the inside with gothic buttresses and mesmerising stain glass windows. Hang around outside where you’ll be entertained by hoards of buskers from full live bands to those almost eerie “human statues”. It sounds a little morbid, but The Pere Lachaise cemetery is a must-see. Covering 100 acres with 69,000 ornate (and somewhat over the top) tombs, it’s Paris’s largest cemetery and the most visited cemetery in the world perhaps because of its impressive ‘clientele’ including Oscar Wilde whose tomb is covered in red lippy! The Pompidou is on anyone’s list of things to do when visiting this artistic city however it’s sure to set you back a few bob. 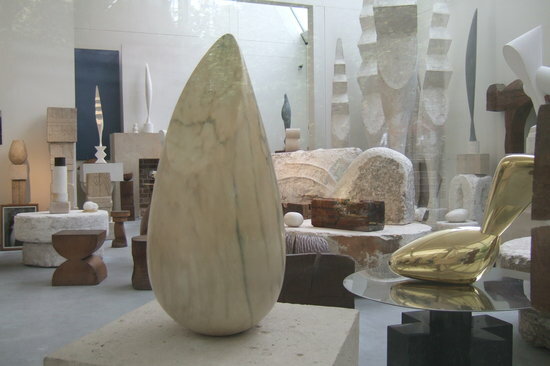 So instead, how about visiting the studio of Constantin Brancusi whose sculptures are sure to impress, situated in the very same square as the Pompidou. If you’d rather walk than sit and watch the passers-by, another good idea for these glorious warmer days is the Promenade Plantee, a 4.5 kilometre walkway across an old elevated railway track lined with trees. This is one of the best ways to view the city and explore the different areas taking the scenic route – definitely worth the long walk, for the beautiful views. Finally, if fashion is your thing but those Paris Fashion Week invites haven’t come your way then look no further than the fashion show at the Galeries Lafayette department store every Friday. Watch the models strutting their stuff showing off the store’s just-in, new season’s collections… all for free!